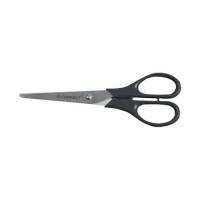 Black Scissors 160mm (Pack of 10) WX01228A Pack of 10 General purpose scissors. Precise slicing action. Rigid black handles. Ambidextrous design. 160mm blades. 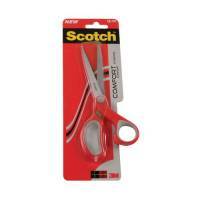 Scotch Comfort Scissors 180mm Red 1427 Pack of 1 Scotch Multi-Purpose 180mm Comfort Scissors. Manufactured with stainless steel blades that resist corrosion and soft comfort grip handles. Suitable for both right and left handed use. 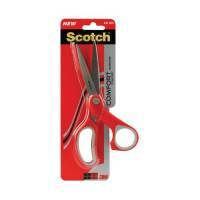 Scotch Comfort Scissors 200mm Red 1428 Pack of 1 Scotch Multi-Purpose 200mm Comfort Scissors. 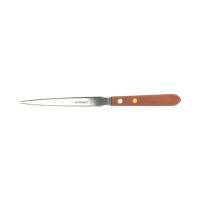 Manufactured with stainless steel blades that resist corrosion and soft comfort grip handles. Suitable for both right and left handed use. 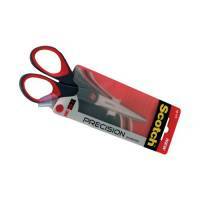 Scotch Precision Scissors 180mm 1447 Pack of 1 Precision 180mm Scissors. Manufactured with precision sharpened blades and soft comfort grip handles ideal for both home and office use. Suitable for both right and left handed use. 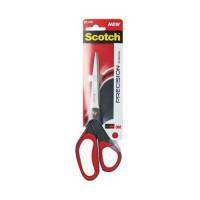 Scotch Precision Scissors 200mm 1448 Pack of 1 Precision 200mm Scissors. Manufactured with precision sharpened blades and soft comfort grip handles ideal for both home and office use. Suitable for both right and left handed use. 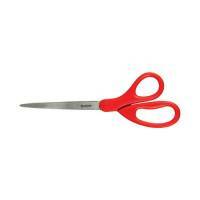 Scotch Universal Scissors 180mm Red 1407 Pack of 1 3M Universal 180mm Scissors. Manufactured with stainless steel blades that resist corrosion. Ideal for everyday light duty cutting around the house and office. Suitable for both right and left handed use. 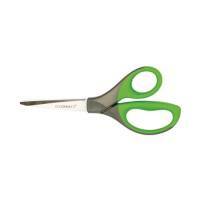 Scotch Titanium Scissors 200mm Green 1458T-GREEN Pack of 1 Scotch Titanium 200mm Scissors. Manufactured with titanium-fused blades 5x harder that quality stainless steel and soft comfort grip handles for ease of use. Also features a tension adjustable screw for optimised usage. 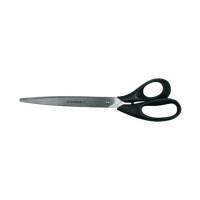 Q-Connect Premium Scissors 8 Inch KF03987 Pack of 1 Q-Connect scissors for sharp and efficient cutting. Provides a clean cut with every use. Metal construction provides durability. Ergonomic handle suited to your hands. Size: 8 inch. Grey grip and green handle. 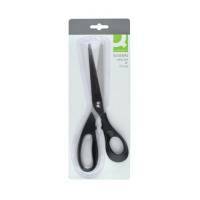 Q-Connect 255mm General Purpose Scissors Pack of 1 Q-Connect Scissors. 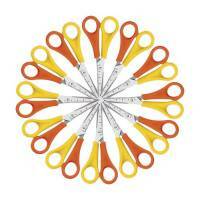 All purpose scissors are ergonomic with an excellent cutting quality. Size: 26cm. Q-Connect All Purpose Scissors 130mm Pack of 1 Q-Connect Scissors. 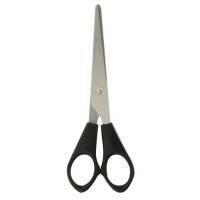 All purpose scissors are ergonomic with an excellent cutting quality. Size: 13cm. 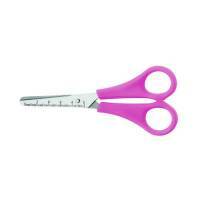 Q-Connect All Purpose Scissors 210mm Pack of 1 Q-Connect Scissors. 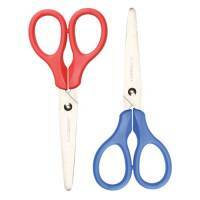 All purpose scissors are ergonomic with an excellent cutting quality. Size: 21cm. Westcott Left Handed Scissors 130mm Yellow and Orange (Pack of 12) E-21593 00 Pack of 1 Acme united Westcott kids scissors 13cm. Age recommendation 4+. 5cm scale on the blade. Colour coded plastic handles. 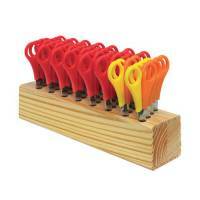 Westcott Childrens Wooden Scissor Block With 32 Pairs of Scissors 112TIDYC Pack of 1 Westcott Wooden Storage Block Complete with 32 Scissors. Each block contains 36 pairs of scissors. 24 right handed and 12 left handed. An ideal classroom pack. 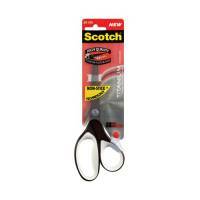 Westcott Multi-Purpose Scissors 210mm E-3010000 Pack of 1 Westcott Multi Purpose Scissors. Ideal for a multitude of cutting tasks in and around the home or office and warehouse. 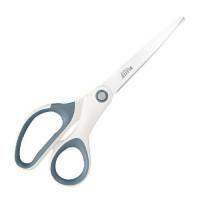 Incorporates cap grips within the handle and a 3mm thick blade for added cutting strength. Size - 8 inches. 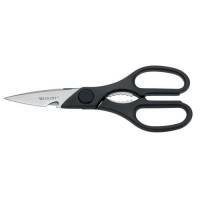 Westcott Titanium Scissors 7 inch E-3047000 Pack of 1 "Westcott Titanium Scissors with titanium coated blades that last longer, stay sharper and make cutting easier. Soft grip handles provide supreme comfort for all hand sizes. Size - 7 inches."